Stunning colors on these tulips. 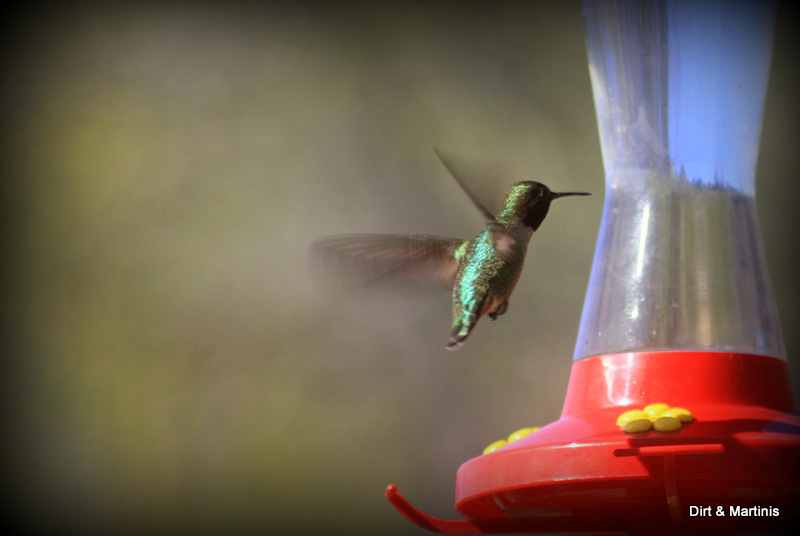 My garden instantly comes alive when it's time to add a hummingbird feeder. I love these little guys. I made these planters for carrots and other veggies that can grow in small containers. All you need is a 5 gallon bucket, drill some holes for drainage, wrap in burlap potato sacks and fill with planting mix. 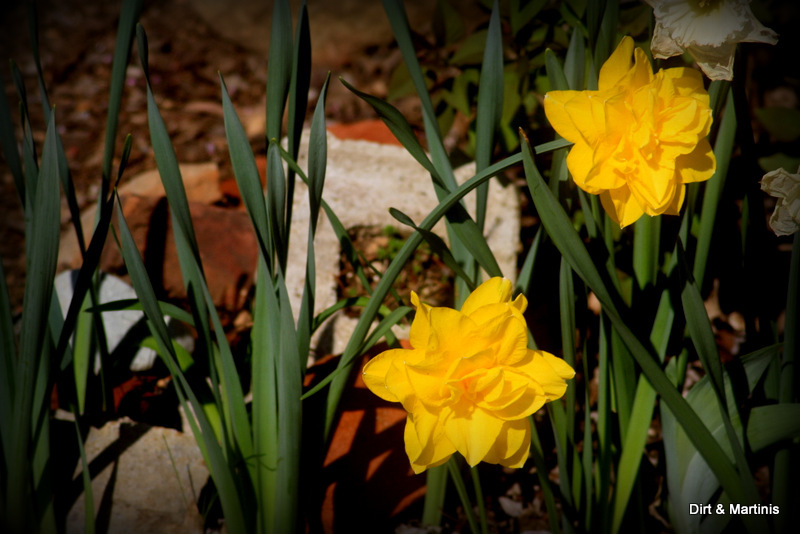 I was so happy these daffodils didn't get obliterated by the recent storms and freezing temperatures. 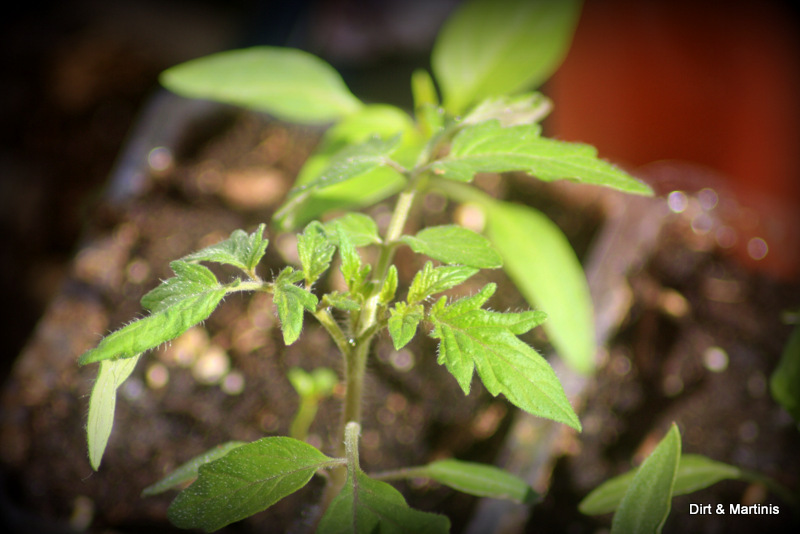 We are stll getting a little frost at night so I have these Black Cherry Tomato seedlings growing indoors. Patience, patience. 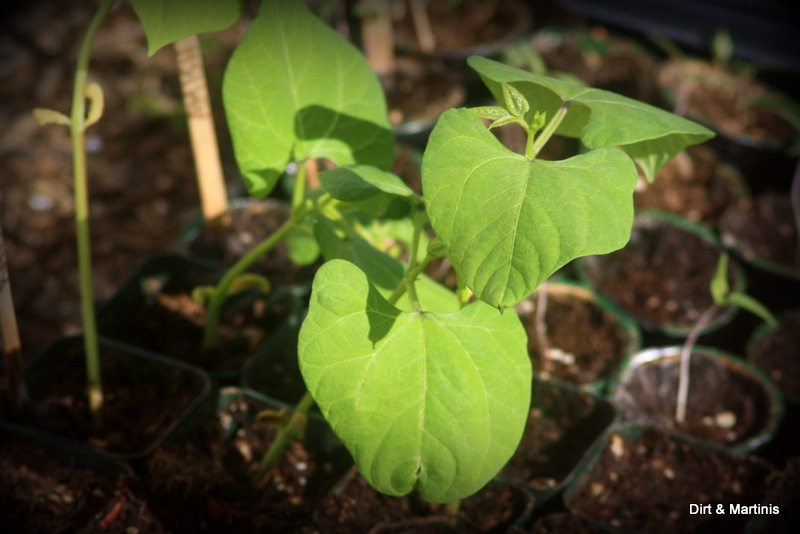 Rattlesnake Beans are also sprouting indoors. I can't wait to see these grow in my garden! 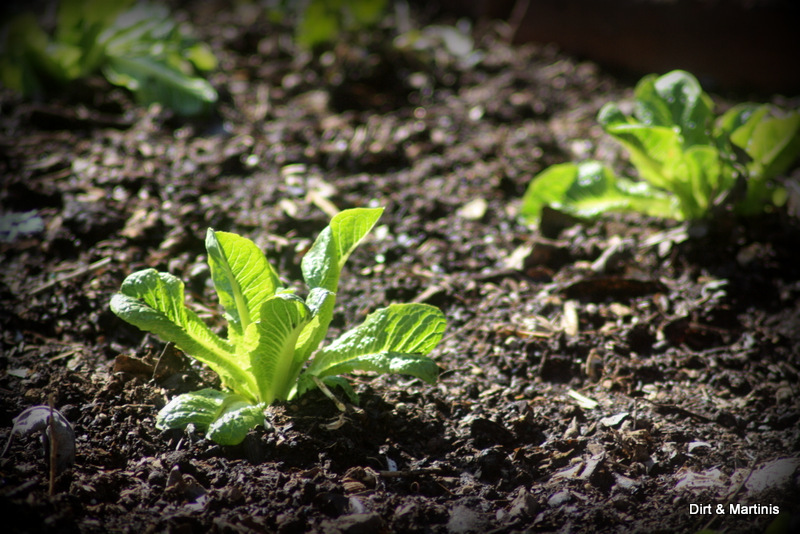 Don't throw away those cut-off stumps from your head of lettuce. Stick the stumps in some water until roots start to form and then plant it in the garden like I did...it works! I love those burlap planters! I am going to steal that idea for sure. Right on Melissa! I love the rustic look, don’t you? looking good! 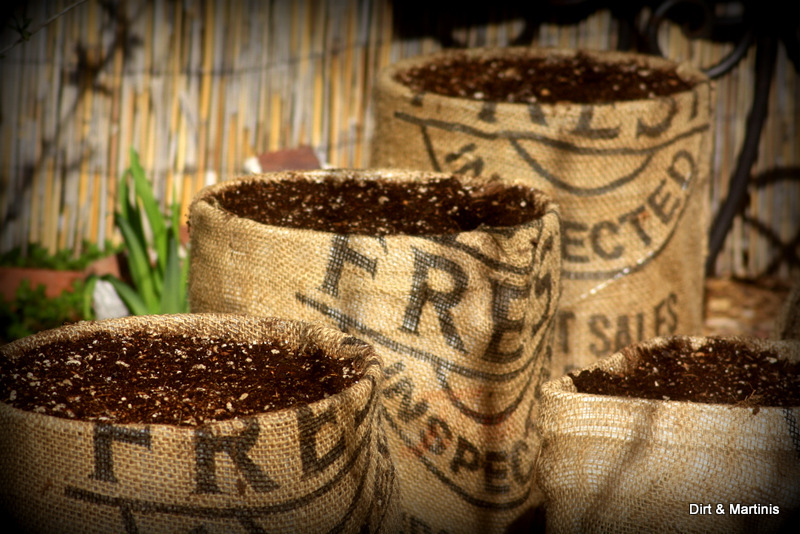 Love the burlap planters – you have given me a great idea!!! Have I told you lately that I …… love your burlap planters. Seriously. They are ingenious. I am curious about the long term. Do you think the burlap will eventually get too saturated and then start to disintegrate? What about mold? Can burlap foster mold spore? OMG girl! LOVE LOVE LOVE your genius idea to cover the buckets with burlap (if burlap was soft enough….I sleep in sheets of it). Well done! Those burlap planters are AWESOME!!!! What a great idea. Where did you find the burlap? Are they sacks or just straight fabric? I am planting carrots and beets today — I couldn’t have picked a better day to check out your page! 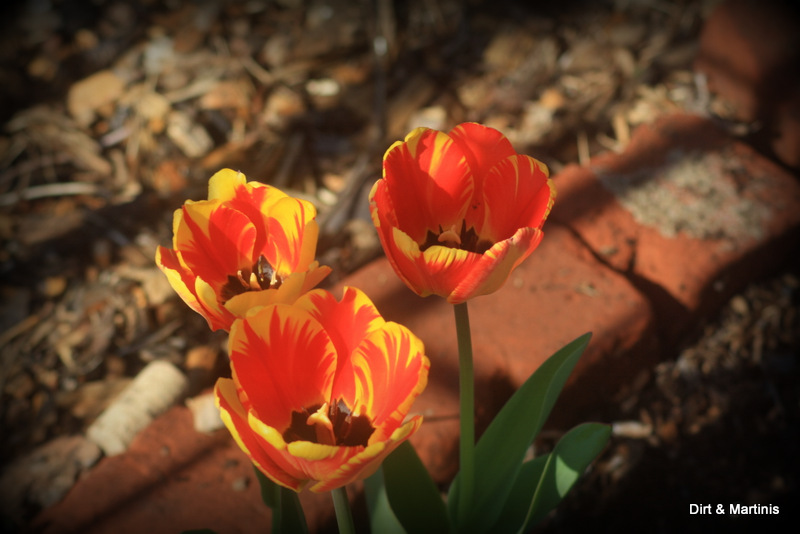 I can be decorative and do something about my rock hard soil at the same time! I love Wordless Wednesdays! Always fun to see what other people find interesting to photograph. Love the light on the bottom picture. Thanks for stopping by Kitchen Riffs!